Ian "Doc" Dean has passed away at age 48, more notes on the passing of Jim Neidhart, Natalya issues a statement on her father's passing, Renee Young comments on her performance Monday, updated card for SummerSlam, Elias to perform at the show, UFC releases Tom Lawlor & Gleison Tibau. **Today’s edition of Rewind-A-Raw is up on the site with Wai Ting & I reviewing the “go home” episode of Raw before SummerSlam. Off the top, we chatted about the passing of Jim Neidhart, the Colt Cabana lawsuit filed against CM Punk and then a big review of Raw, followed by your feedback & questions. As always you can download the show, subscribe to POST Wrestling on iTunes and listen on any podcast app, including Spotify, Stitcher, Google Play etc. **On tonight’s Rewind-A-SmackDown, we will review SmackDown and present a big preview for SummerSlam at the end of the show. **On Wednesday, we will release the “Double Shot” for members of the POST Wrestling Café. On this week’s show, I’ll be reviewing the new book “NITRO: The Incredible Rise and Inevitable Collapse of Ted Turner’s WCW” by Guy Evans, plus last week’s Lucha Underground. Wai Ting will be recapping this weeks’ edition of “Being the Elite” as well. **This Friday on the POST Wrestling Café, Rewind-A-Wai returns with Wai Ting and I reviewing the WCW Bash at the Beach event from July 1998 with Hollywood Hogan & Dennis Rodman vs. Diamond Dallas Page & Karl Malone. This show was chosen by Espresso Executive Producer Thorsten Wendelmuth and we are taking feedback & questions on the POST Wrestling Forum. **We started Monday night’s show discussing the life and career of Jim Neidhart and I also have a write up on his career. Ross Hart spoke to the Associated Press on Monday and said he believed Neidhart suffered a grand mal seizure Monday morning. Hart added that Neidhart went to lower the temperature on the air conditioner early that morning and collapsed, believing that Neidhart died quickly after the fall. Neidhart had been battling with Alzheimer’s disease as well. Neidhart’s passing has received lots of national coverage because he is one of the many larger than life characters that the WWF’s 1980’s boom produced. He was an extremely colorful figure within the industry with the over-the-top delivery in his promos, a perfect nickname to compliment his body structure and link him to his past exploits as a shot putter, and the famous laugh. An underrated aspect to Bret and Neidhart standing out was their unique color scheme of pink and black that always jumped through the screen with those colors that worked so well as they were establishing themselves as heels, and later as babyfaces. 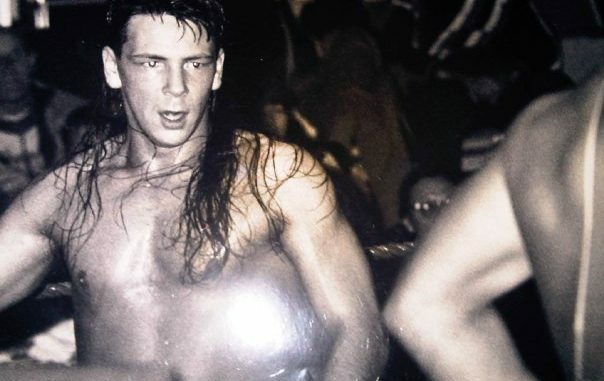 The two periods of his career that will be remembered by most are the initial Hart Foundation tag team from 1985 – 1991 and then the USA vs. Canada program in 1997 with Neidhart aligned with Bret, Owen, Davey Boy Smith, and Brian Pillman. That program was so hot during that era, it peaked at the Canadian Stampede card in July 1997 at the Saddledome with the Hart Foundation defeating Steve Austin, Ken Shamrock, Goldust and Legion of Doom. The atmosphere was electric for the main event and the closing scene with the entire Hart family in the ring celebrating was a memorable one. It is very sad to look back at that program and realize that four of the five members have died. After the Survivor Series that November, Neidhart did get a deal with WCW and was paired with Davey Boy Smith as a team but never caught on and were relegated to an undercard tag team that was done before the end of 1998. I will add it’s unfortunate that neither Neidhart or Vader were included in one of the recent Hall of Fame classes by the WWE, as it was something both men wanted, and others had pushed for. In the WWE Hall of Fame, anyone can go in and given both were in bad health over the years, it’s just unfortunate they couldn’t go in while they were still here. I can’t put into words how hard it is going to be for myself and our family to have to say goodbye to my dad. He meant the world to us, and nothing will ever replace the special times we shared together as a family. My dad was always a fighter and an incredibly special person. There was no one like him. I’m just gonna miss him so much. We are going to hold all of the moments we had with him close to our hearts forever and never let them go. I promise to keep your memory alive. We love you so much, Daddy! On behalf of my entire family, we would also like to personally thank everyone for the outpouring of thoughts and prayers. It’s meant so much to us. **Regarding the opening segment of Raw, I cannot imagine how difficult that speech was for Ronda Rousey to address the passing of Jim Neidhart. Not only is she close friends with Nattie, but Rousey lost her own father when she was eight-years-old. Her father had broken his back and was in significant pain, resulting in him committing suicide and that played a huge impact on Rousey’s life. It was probably a very emotional speech to deliver and then she had to snap into pro wrestler mode for the forthcoming match and angle with Alexa Bliss and Alicia Fox. They have also announced that Elias will be performing at SummerSlam, presumably for a segment that involved Bobby Lashley. While there doesn’t appear to be room for any other matches, the main talent without anything scheduled includes Asuka, Bayley, and Sasha Banks. The latter two have a program with The Riott Squad, but Asuka has nothing going on unless they added her to the women’s title match, although that dilutes the focus from Becky Lynch and Charlotte Flair with the story that the two friends are both attempting to become champion and getting in each other’s way. **There was apparently a BAT that was flying around ringside at the Greensboro Coliseum on Monday during the Alexa Bliss vs. Ember Moon match. **Kofi Kingston turns 37 years old today, Johnny Gargano turns 31, Bobby Eaton is 60 today, and Bob Backlund turns 69 today. **Tom Lawlor’s tenure with the UFC appears to be over, following a statement from Lawlor announcing he has been let go. MMA Fighting added that his release hasn’t been finalized yet, but they are in the process of completing it. Lawlor had been serving a two-year suspension issued by USADA that was set to expire this October with Lawlor requesting his release over the past two years and being denied. Lawlor came off Season 8 of the Ultimate Fighter, which was the season that Ryan Bader and Efrain Escudero won the tournaments. Lawlor started fighting at middleweight in the UFC, defeating C.B. Dollaway at UFC 100 in July 2009 and earning a submission of the night bonus. In April 2013, he defeated Michael Kuiper on a card in Sweden, where he fought on the Facebook prelims (In a trivia note, Conor McGregor made his UFC debut on the same Facebook prelim card that night defeating Marcus Brimage). In the fight with Kuiper, Lawlor suffered a knee injury and didn’t fight again until July 2015 when he moved back to light heavyweight. Lawlor knocked out Gian Villante in his return bout and last fought at UFC 196 where he dropped a decision to Corey Anderson. During an out-of-competition drug test, Lawlor tested positive for ostarine, which he vehemently denied taking. Lawlor was so concerned about ever ingesting a tainted supplement that he opted not to take any supplements. The unfortunate part was that without any supplements to list, he had no idea how ostarine got into his system and rather than engage in a big appeal process, he accepted the two-year suspension and resumed his professional career in 2017. Lawlor is a regular on the U.S. independent scene and recently won MLW’s Battle Riot. **The UFC has also cut ties with long-time lightweight Gleison Tibau. Tibau began fighting for the UFC in November 2006 and fought 28 times for the promotion. His last four fights dating back to February 2015 were losses to Tony Ferguson, Abel Trujillo (which changed to a loss after Tibau originally won by submission and then tested positive for a banned substance), Islam Makhachev and then to Desmond Green this past June in Utica, New York. Tibau was suspended for two years following an in-competition test failure for the fight with Trujillo and failed an out-of-competition test that was taken before the fight and the results came back after the bout with both tests detecting EPO in his system. Tibau spoke to Guilherme Cruz of MMA Fighting and said he has received offers to fight elsewhere and will also move up to welterweight. Martin Bushby chats with Daniel Richardson a.k.a. James Dixon about his 14-year career, coming up with Neville, working with 1PW, booking for What Culture Pro Wrestling and later Defiant Wrestling, as well as his consulting role with World of Sport & lots more. Braden Herrington & Davie Portman review this week’s NXT, featuring Aleister Black vs. Johnny Gargano, the debut of Keith Lee, a Mae Young Classic Qualifier, and the latest on the TakeOver main event.